After years of studying at college, finally it comes to an end and now it is time to celebrating your graduation with a ceremony. Congratulations on your graduation, it is a great academic achievement that hopefully leads to successful future. Graduation day is surely one of the most important days in your life. 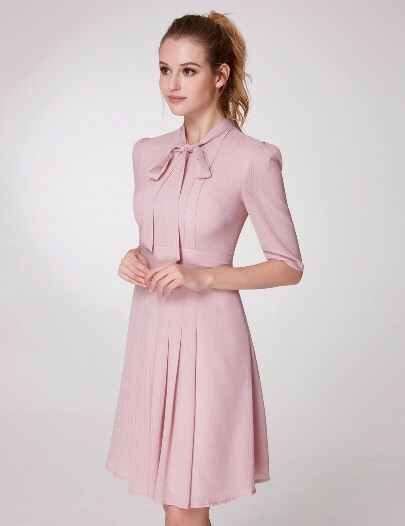 Besides the traditional academic dress that includes graduation gown, cap and tassel, commemorate your study accomplishment with the right chosen Graduation dresses for college that make you look special, confident and elegant. You most likely wear the graduation robe on top of your dress along the occasion but after the ceremony, it would be time to take off the robe and show your dress. The ceremony usually followed with after-graduation parties or gatherings; that’s why it is important to dress well for the whole day occasions. To ease your Graduation dress search, you can go online to buy it on a budget. One trusted store to go is Ever-Pretty that provides a variety of affordable graduation dresses collection in latest styles. Anyway, since it is a special academic event which has different vibe than other events like prom and homecoming, there are things to consider before choosing your graduation outfits. Is there a dress code for graduation at your college? Some colleges might forbid dresses with backless, high split or deep V-neck. If the answer is yes, you must follow it and find a suitable dress. If there are no stated dress codes, there are still general rules about what you should wear on graduation day. The dress will be under the graduation gown for hours especially during the ceremony. Most graduation robes are not floor-length, so your dress should not touch the floor as well for safety and practical reasons. The ceremony usually held in a big hall or stadium, thus you will walk a lot, across the stage and walk on stairs. It is required to put on dresses that allow you to move freely and safely -without feeling afraid of tripping over your dress. Therefore short dresses are most favored choices for graduation outfits. A proper dress length is knee-length as it offers youthful look in polite way. If you opt for longer outfits, you still can choose dresses that don’t fall to the floor. Safety and practicality should be your concern. In summer graduation, there is no need to expose much skin and curves because it is not the right time and place for doing it. In my opinion, looking stylish and confident yet keeping polite could be the appropriate appearance for graduation day. Just like most brides in western countries who wear gowns in white to signify purity, virginity and goodness; why not choosing White graduation dresses in celebrating gratefully the success of your study? White is the color with positive meanings. Wearing white can symbolize you end the college study in sincerity and goodness. The graduation is like a successful beginning on a step of your life and you are ready to struggle for better new life. Bright white dress can support your mind and body in encouraging feelings of brand new beginnings. Are you going for white? 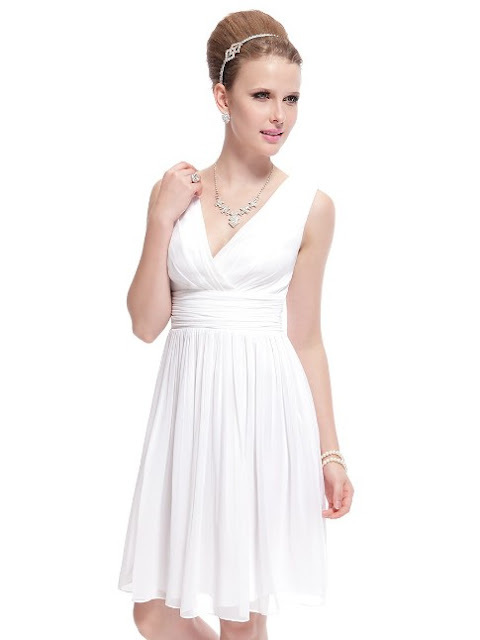 Check out first some featured white dress designs above. I share also two sleeved designs that I like so much but unfortunately not available in white.